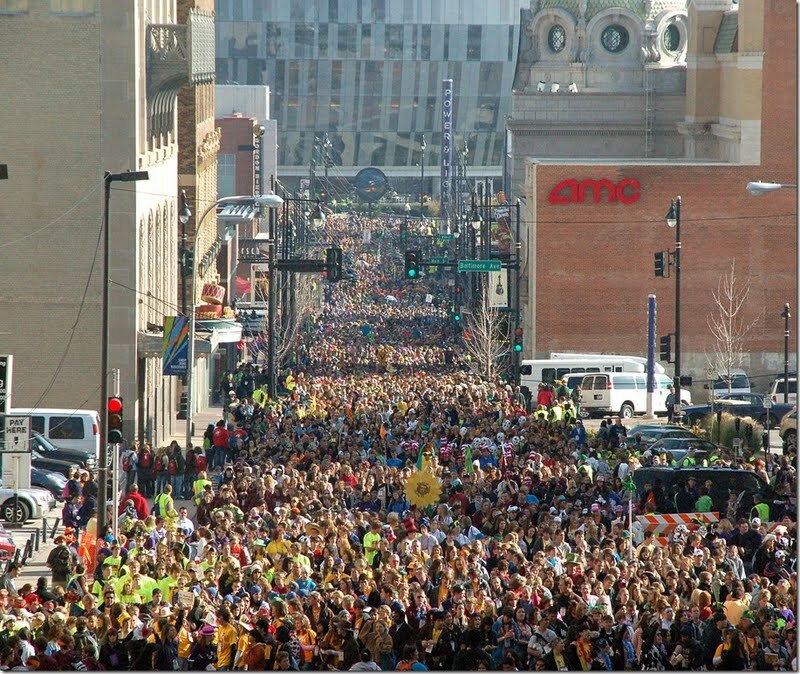 There is hope for our land when we Catholics rise up and demonstrate our love for God and the Church. It is time again for bishops to take the lead and promote and teach and demonstrate the truth of the Catholic faith! I love seeing things like this. Click on this impressive picture for a larger image. Cardinal DiNardo gave the keynote at today’s session of the National Catholic Youth Conference in Kansas City, while Kansas City, Kansas Archbishop Joseph Naumann led Exposition of the Blessed Sacrament and Benediction at Sprint Center. 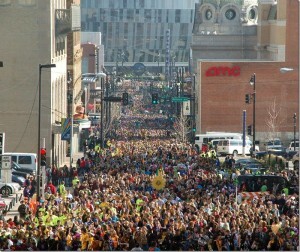 Kansas City – St. Joseph Bishop Robert W. Finn then led 22,000 High School students through his See City from Sprint Center to the Kansas City Convention Center. Here are some pics – story later – Be sure to see the last pic.